If you’re a business owner, then you’re also a writer—whether you realize it or not. You may outsource your business blogging and you may have an employee who formulates proposals for you, but, if nothing else, you write emails every day—to potential clients, to current customers, to partners and associates, and to members of your team. But have you ever paused to think about the craft and strategy of business email writing? When you approach your emails intelligently, you can maximize their impact—in other words, you can boost the odds that those emails will have the effect you intend them to have. If you want somebody to open and read your email, you’ve got to remember that most people get slammed with way more emails than they could ever hope to read, much less show real interest in. Make yours stand out by communicating specific value in the subject heading. Don’t ever leave the subject line blank; don’t use something like “quick question” (which is vague) or “very important/please read” (because what’s important to you may not be important to your reader). Instead, offer specific value: “Meeting confirmed for 9 a.m. Friday” or “Notes from Monday’s conference call” are both solid. We often tell people that a company blog entry needs to have just one primary argument—with some supporting sub-points, perhaps, but just one focused topic. We advise the same thing with emails. You should stick to one point if at all possible; if you have separate points that are substantial, split them into separate messages. If you do have a number of points to make, indicate in your first sentence how many points there are, and then number them. Attachments are often necessary, but remember that they can consume bandwidth, carry viruses, and take a lot of time to download and open; additionally, they do not always translate well to different email programs or operating systems. If you really just need someone to look at a paragraph of text, consider copying and pasting it into the message instead of sending an attachment. Most email programs will allow you to flag a message as being urgent/important—but do this as sparingly as possible. In theory, every email you send to a client or co-worker should be important—else, you’re wasting their time and yours. Don’t become the person who flags every single email as important, because people will quickly realize that this really means none of your emails are important. This isn’t text messaging. If you’re emailing someone in your close circles—someone you are in contact with on a daily or weekly basis—that’s one thing. If you’re emailing a prospect “cold,” or following up with someone you have just met, it is important to say who you are and what organization you represent within the first sentence or two. Whenever you email, think about your own online reputation. Email is not secure, and there is no way to prevent your message from being forwarded or published somewhere. The last thing you want is to say something nasty about a client or a competitor and then have that message leaked somehow. You can deny it, of course, but your reputation will still suffer. When you’re emailing a close friend over something not strictly work-related, it is okay to use smiley faces and abbreviations. For anything else, avoid these things! For the sake of clarity, respect for the recipient, and your own professional reputation, take a minute to read through your message before you press ‘send.’ It’s as simple as that. 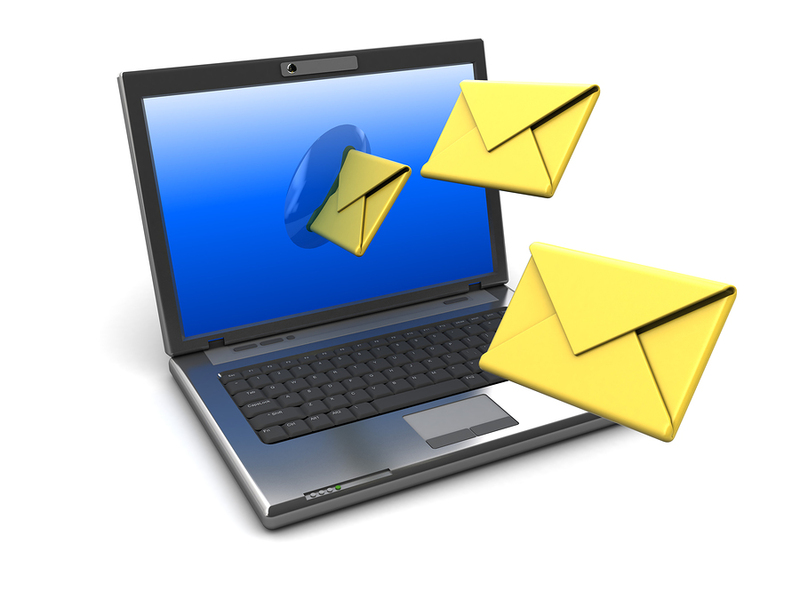 Looking for additional help crafting a compelling business email? The Grammar Chic, Inc. team stands ready to assist. Contact us today for more info, either by visiting www.grammarchic.net or by calling 803-831-7444 803-831-7444.